BINUS Northumbria School of Design Fashion Program, Graphic Design and New Media Program, as well as BINUS INTERNATIONAL’s Film Program gathered together to celebrate a week-full of exhibitions, seminars, workshops, competitions, as well as film screenings gathering leaders from the industry, the public and students and alumni of BINUS UNIVERSITY programs. Annual event, Artvolution was held at BINUS FX Campus, Senayan, Jakarta, taking place in 2016 from December 5th to 10th, 2016 with each day dedicated to one of the study programs. Fashion Program held the “SAJIWA” talk show and workshop. Adapted from the Sanskrit language, SAJIWA was a dialogue about uniting through art of fashion. Facilitators discussing about Indonesian fashion industry included Ms. Tenik Hartono, the Editor in Chief and CCO of Grazia Indonesia, Rachel Theresia, fashion influencer, Arinta Wirasto, Fashion Writer for Harper’s Bazaar Indonesia (and BNSD alumna), and Claresta Pitojo, a Fashion Writer and Fashion Stylist for Clara Indonesia. Sekkha, leader in leather accessories held a basic leather craft workshop. Christiawan Lie, the founder of Caravan Studio held the Concept Art Seminar and illustration competition. Graphic Design and New Media Program held three events examining theme of access in its various forms. Students/Alumni Talkshow was held between Yasmin Nadhirasari, GO-LIFE Lead Designer at GO-JEK Indonesia and Okky and Nia, Gold Winners of ASEAN Skills Competition 2016. Dinan Hadyan, respected Indonesian artist from Bogor held a watercolor workshop. BINUS INTERNATIONAL’s Film Program further held BINUS Film Week. Chairun Nissa’s documentary, “Potongan”, as well as “Galih dan Ratna” were screened and discussed. The Fashion Program and Graphic Design and New Media Program also held exhibitions of student work. 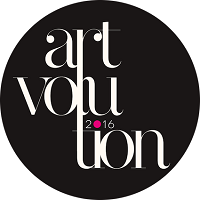 Artvolution as an annual event is an opportunity for art, design and film enthusiasts to gather together and explore projects of mutual concern. The event serves as a platform to attract attention to applied talent of BINUS students, facilitate alignment with industry needs, and is an opportunity to enjoy creative arts and crafts.